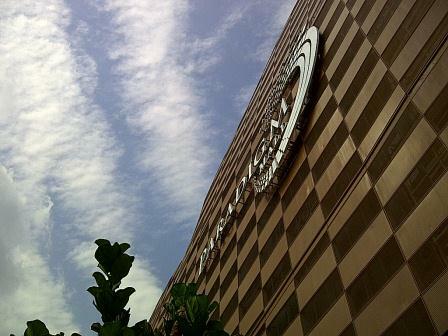 Paradigm Mall is the newest addition to the growing numbers of shopping malls based in Klang Valley. 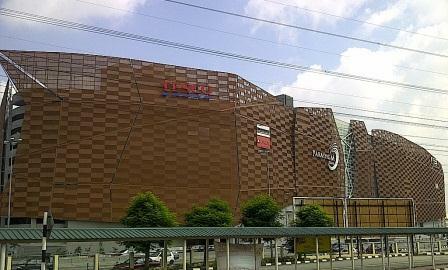 Paradigm Mall is located along the LDP highway, opposite the Giant Kelana Jaya. 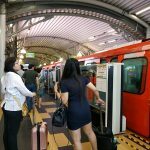 Parking is free until Sunday, 1 July 2012. From 2 July 2012 onwards, there will be charges for parking. 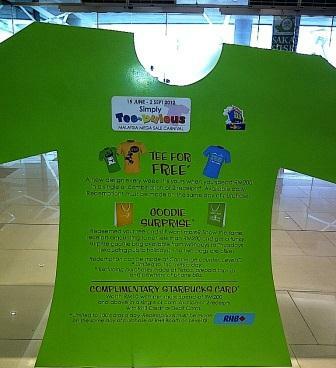 This is a good way to get people to familiarise and get comfortable with the mall before imposing charges. All the stores including Tesco opens at 10am. 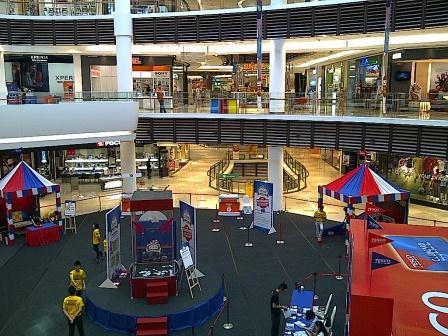 There are already lots of visitors starting from last week even though the mall is only opened about a month ago. 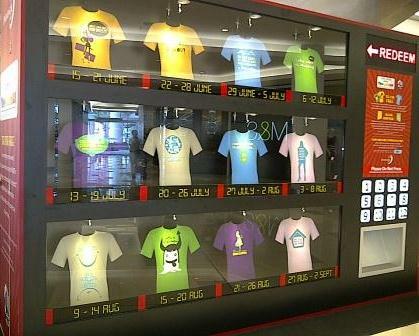 For the opening, they’ve adopted a creative way of advertising, joint with RHB to offer Tshirts of different design every week. The entire listing is placed in a display cabinet. 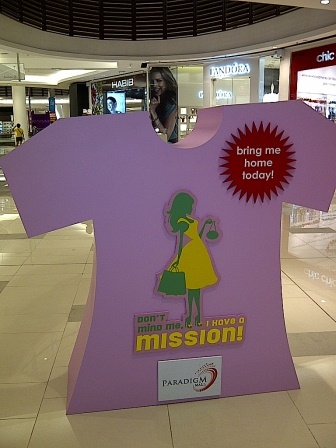 Whereas markups of the Tshirt is placed at various strategic areas. 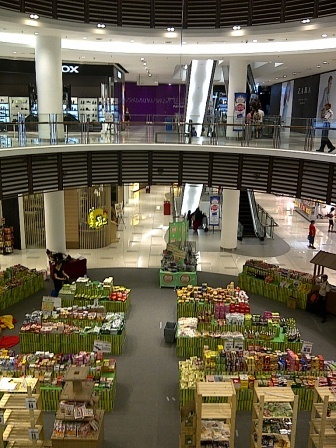 But overall, a lot of the items sold in Paradigm is more towards high end. For the free parking, a lot of people went to Tesco to pick up good bargains on bread and pastries- do note that Tesco only opens at 10am to 10pm, in accordance to the mall’s shopping hours. 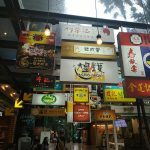 Paradigm Mall is similar to most of the trend of malls now- targeting the hip and trendy- well, folks like me who’s not rich would prefer malls where we can find Jaya Jusco who do run good deals during their sales. 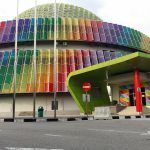 Personally I prefer malls like the Tesco-Mutiara-Curve-Ikano-IKEA or One Utama where there’s something for everybody. But that’s just me. 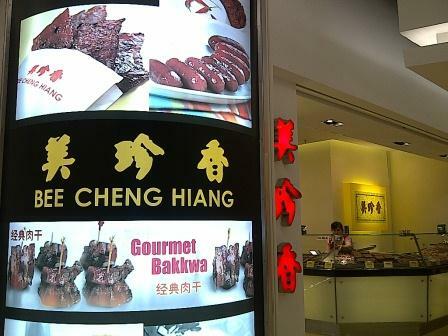 Bee Cheng Hiang is also in Paradigm Mall- they have another outlet in SS2 as well. And lo and behold- Chatime is also there. But you would know it’s there coz many people would probably be walking advertisement of Chatime by window shopping with a cup of Chatime on their hands. 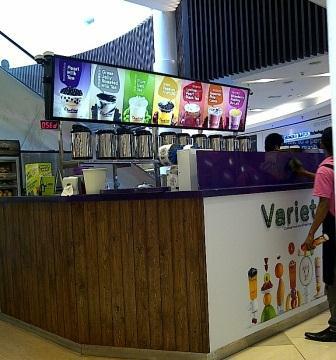 Chatime is located at the top floor, near the Popular bookstore entrance.